The 2017 Chevy Trax in Albany, NY is a small crossover SUV (Chevy labels it as a small SUV, but other sources call it a crossover) that’s able to provide the driver with three key things in this segment: a versatile interior that’s able to work with the limited amount of passenger space inherent in this vehicle’s design, efficient and zippy performance, and plenty of advanced technology features to keep you connected, comfortable, safe, and help make life more convenient. DePaula Chevrolet knows these are three key features (four, including safety) that consumers look for in a small crossover vehicle. Along with ease of maneuverability through cramped traffic, thanks to its small stature, consumers love the fun and quirky design, and other comfort amenities that Chevrolet likes to include with its vehicles. Chevrolet has these three important categories covered, ensuring that you won’t be disappointed in any aspect of the new Trax. Since the 2017 Trax is a smaller crossover, you won’t be disappointed with its zippy and efficient performance. Its 1.4-liter engine allows it to act like a typical smaller crossover vehicle, and it returns exceptional fuel economy, while producing more than enough power for a vehicle this size. The 2017 Trax is a vehicle that provides perfectly solid, reliable performance across the board. A 1.4-liter four-cylinder engine is the sole star of the show, and comes paired to a six-speed automatic transmission. This engine produces 138 horsepower/148 lb.-ft. of torque, and is offered in either all-wheel drive or front-wheel drive. 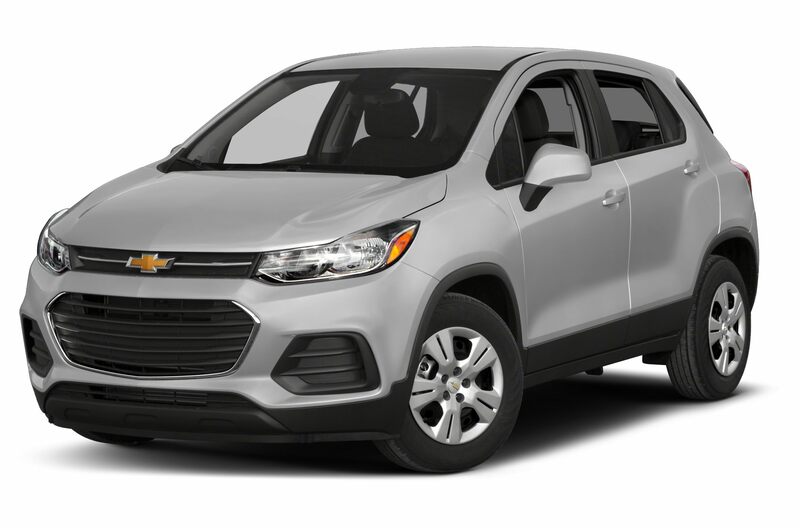 Regardless, the smaller size of the Trax ensures that you won’t feel the sting of all-wheel drive when fuel-efficiency is concerned, while still providing the capability, traction control, and safety benefits needed to navigate through hazardous weather. In Edmunds testing, a LTZ trim level Trax with AWD ended up sprinting from 0 to 60 mph in 8.9 seconds; whereas, a FWD model made the same run in 10 seconds flat. Either way, you’re looking at a crossover that provides plenty of pick-up to get on the highway. When it comes to fuel-efficiency, a 2017 Trax with front-wheel drive is able to get up to 25 mpg city/33 mpg highway, which makes 28 mpg combined. An all-wheel drive model will get 24 mpg city/30 mpg highway and 27 mpg combined. As you can see, it’s not a drastic drop in fuel-efficiency – typical of a small crossover vehicle, but a unique trait to the crossover class when compared to other types of models. When it comes to the interior of small vehicles (not just crossovers), automakers are forced to get creative. They need to figure out how to make a smaller space feel like a big space. The answer to that? Creating a highly-configurable cabin that’s able to fit many different lifestyles. Let’s take a look at the five examples Chevrolet provides various personas, and talk about how the cabin molds to suit each lifestyle. This will also give you a few authentic examples of what the Trax is able to fit inside its cabin for storage. A full-size cooler, camping tent, multiple bags, extra gear, and shoes can all fit inside the Trax, if the back seats and front passenger seat are folded down. That’s what we see on Chevy’s Trax web page, at least. Need space for the front passenger? Simply take a smaller tent — since that’s what appears to require the front seat to fold down — or strap it to the roof with some optional roof racks. With all four seats up, the trunk’s 18.7 cu.-ft. of cargo space is enough to fit any supplies an artist might need. Or even a fishing pole and some tackle gear, just angle the pole so it runs on top of the seats and up the center of the cabin. Who says you can’t create and relax at the same time. If you find your inspiration in the natural landscape, the Trax gives you easy access to vistas off the beaten path. With one rear-seat folded down, a full-size acoustic guitar will fit. Then, you still have the middle and one rear outboard seat up for the rest of the band to sit. And that 18.7 cu. ft. of trunk space can fit your amp and some extra gear, too. Take the back middle seat and one of the rear outboard seats and fold it down, and you have room for fold-up chairs in the center, a cooler, and extra sports supplies. Everything you’d need to take your kid to a game and watch them play. With both rear seats folded down, you can fit a full taken-apart bicycle in the back, along with a spare set of shoes and a backpack. Obviously, these aren’t official labels for the configurations. Just the examples Chevy has created, which provide great real-world examples to consider. More importantly, it shows that whatever type of life you live, the 2017 Trax has a configuration on the inside to support it. With all the advanced technology on board the 2017 Chevrolet Trax, it’s never been easier to stay connected on the road. Android Auto and Apple CarPlay are two programs meant to enhance your smartphone-to-car integration experience. They allow for easier operation of voice talk, voice text, navigation, and making or receiving calls via voice command. 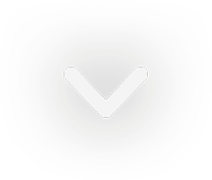 You can even select certain apps like Google Maps, Pandora, and even get music playlists through these programs. This is all controlled courtesy of the Trax’s 7-inch touchscreen display. The 7-inch touchscreen infotainment display is the central power-hub of all the technology in your vehicle. Most of your entertainment and convenient technology features (like hands-free talk and text, or voice command navigation) are operated through Chevrolet’s MyLink technology. Of course, using certain apps will eat up data if a WiFi connection isn’t available, which is why Chevrolet has provided you with a 4G LTE WiFi hotspot courtesy of OnStar. This hotspot can provide you and six others (seven devices total) with WiFi connectivity that will be much quicker than using data. Meaning, you’ll have WiFi while on your adventures, but not just for your phones. It also connects beautifully with tablets and lap tops. In 2017, cars are far from relying on just airbags and safety cages to keep their passengers safe. Now, there is technology that’s able to prevent and respond to accidents as well. Advanced safety features, like lane departure warning, side blind zone alert, rear park assist, and forward collision alert all fall under this category. Designed to help you avoid collisions from the front, side, or rear of the vehicle, these features provide you with alerts if there is potential for a collision of any kind. Whether it’s because you merged into another car on the highway, or are simply just getting drowsy at the wheel. With this type of advanced safety technology, the Trax has you covered. DePaula Chevrolet tracks the best deals on the car market, so we are always able to provide you with a competitive low-price offer. No deep discount prices or eye-catching sales here, because we always offer you the best price possible. Plus, we make sure our pricing is transparent and upfront. What you see is what you get – no gimmicks or sales tricks. With our standards of excellence, we could never bring ourselves to trick our consumers. In fact, we pride ourselves on the thousands of great reviews routinely posted to our website, and are delighted when our customers walk in with a smile and walk out with one as well. Honest, customer-driven, and backed by an exceptional inventory: that’s the DePaula Chevrolet way.